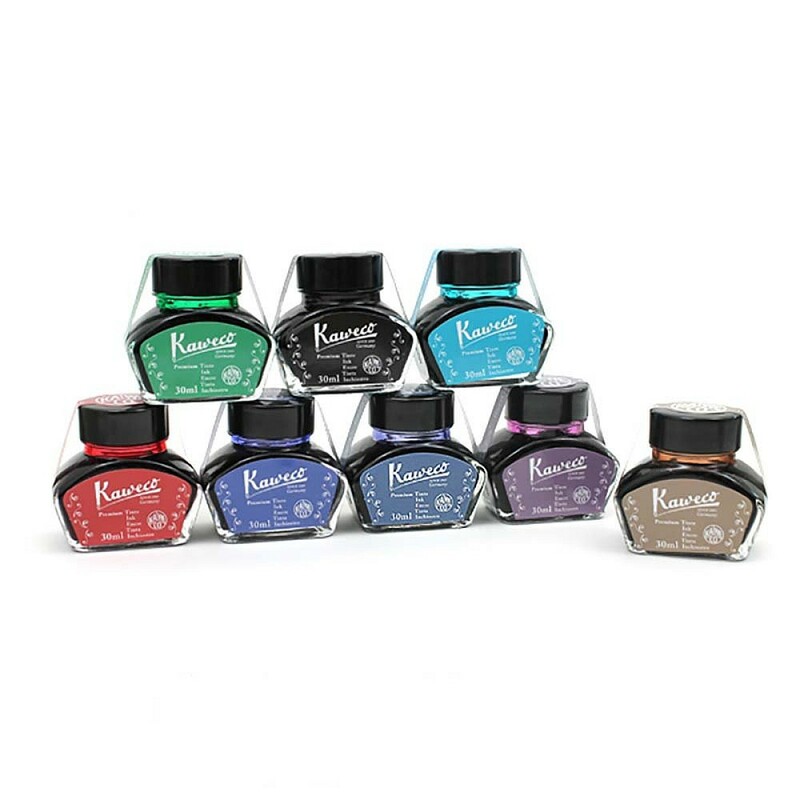 The Kaweco premium ink bottle is availavle in 8 beautiful colors and contains 30ml of high quality ink. The classic Kaweco Student fountain pen is made of made of high quality acrylic with metal parts and chrome details. The Kaweco Student F..
Kaweco mini squeeze converter is designed for Kaweco Sport fountain pens. A miniature squeeze-sac converter allowing the use of bottled inks with many.. The classic Kaweco Student fountain pen is made of made of high quality acrylic with metal parts and chrome details. The Kaweco Student Fountain pe.. It was in 1910 that Kaweco first produced a Liliput fountain pen of ebonite. The remake of this series is made of solid brass as a fountain pen with a.. The term eyedropper describes the filling mechanism of the early years. Around 1900 the former fountain pens, slim pens with put-on cap, used to be fi..